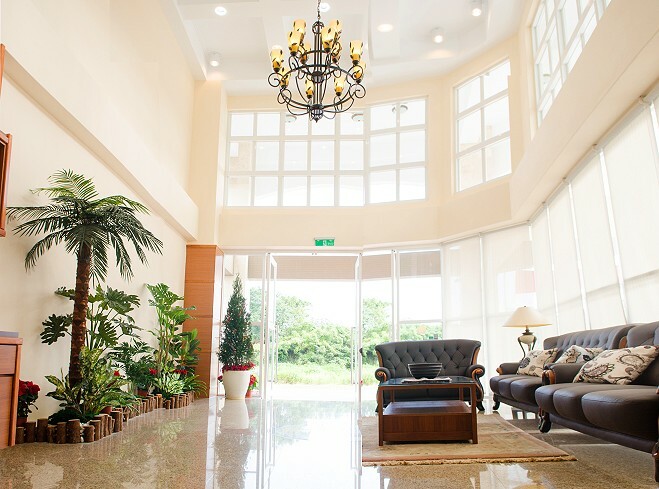 he 2014 newly built Hualien Lohas Leisure Hotel is located in the center of the most beautiful seashore in Hualien with Qixintan scenic site, Hualien airport, Meilun Mountain, Hualien Harbor, and Huanlian city center around. With convenient transportation, visitors can set off to all other places from here. Holding the spirits of customer first, Huanlian Lohas Leisure Hotel provides comfortable stay experiences, delicate food, and thoughtful travel services to foreign and domestic visitors with professional, passionate, and fine service quality. We insist to provide our customers with the most satisfied leisure and vocational enjoyment. Designed by professional designers, the elegant and comfortable space design, while also is considered to meet both needs of leisure sensation and stay experiences, emphasizes the elegant modern architectural design and its carefully designed European style high-ceilinged hall. The overall design, from the lighting, pillars, to ornaments, reveals the cultural artistic feels. Our professional and thoughtful service team just provides all the visitors the warm and freely feel of being at home, even while is still away from home.